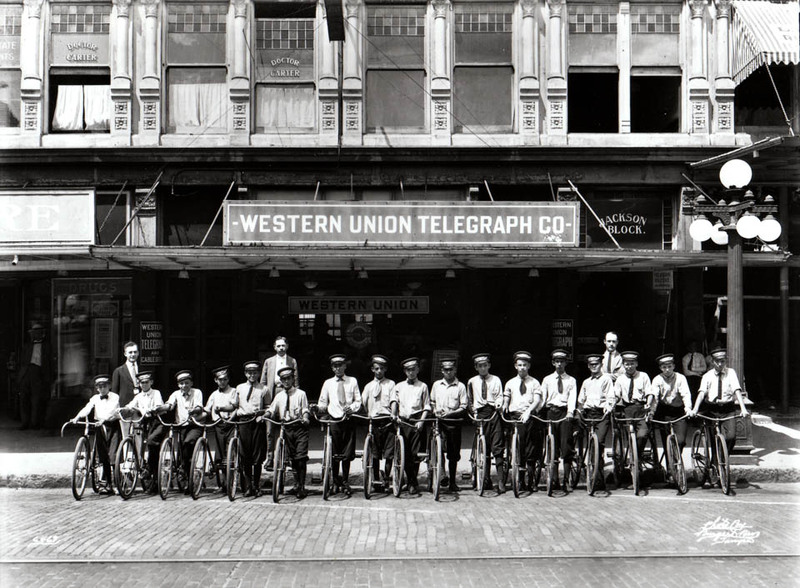 Messenger boys lined up with their bicycles in front of the Western Union office at 604 Franklin Street. 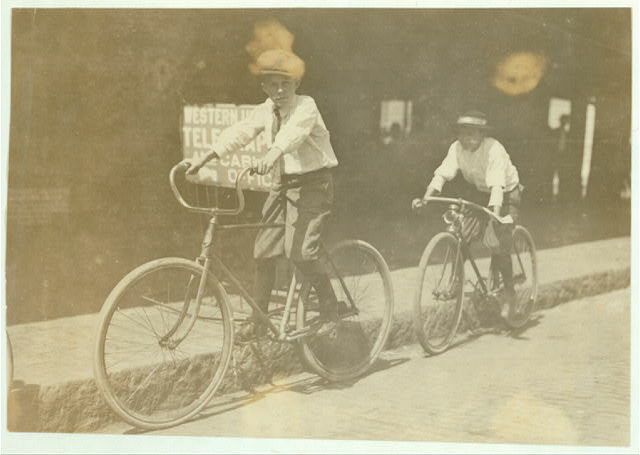 The image below is from the Library of Congress and taken of two Western Union boys from Tampa in 1911. The caption states that the boys are 12 years old and usually work until 11 P.M., but will work all night when they are busy. As of January 2006, Western Union officially discontinued its telegram service, which had been in service for 155 years.